Let’s not make a meal out of it! Meal times. Even typing these two words sends shivers down my spine. 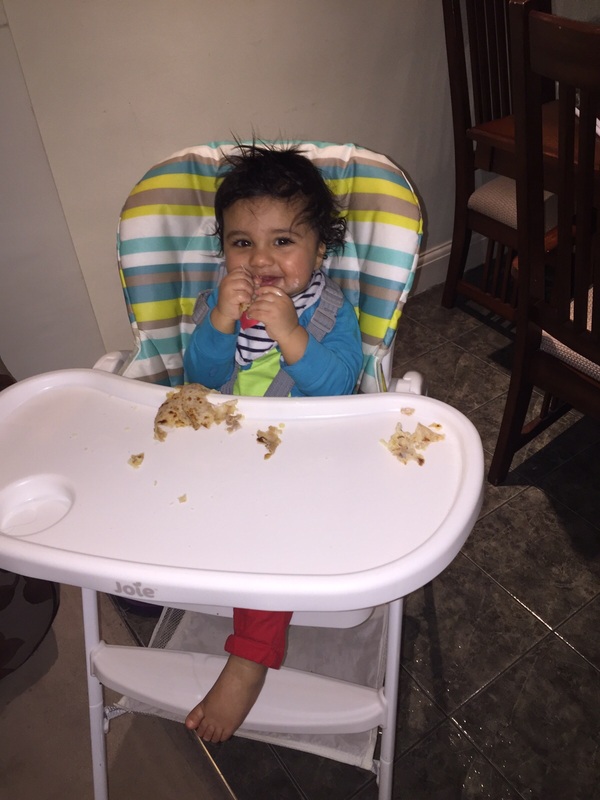 My darling toddler loves food, but loathes to eat. (Didn’t think this could even be a ‘thing’ right?) If it’s one thing I’ve learnt, it’s that anything can be a ‘thing’ in the world of parenting. However, if I’m giving him baby biscuits, crisps or any other form of baby junk, then he’d eat as though I had starved him for days. He has ants in his pants, the attention span of a baby fly, and his brain is ten steps ahead of his body. Therefore when we sit down to eat, his mouth hasn’t physically taken one bite, yet his mind has seen the food, eaten it and is now ready to play again. I start by singing like a lunatic, wheels on the bus being one of his favourites, (I look and sound like I’ve downed an entire bottle of wine in five minutes), but VYP loves it and it works for a few bites, then he gets bored. Quickly. I swiftly grab the emergency toy stash and this distracts him for a few more bites. He stores the food in his cheeks whilst he plays, and as he begins to chew and swallow, I know boredom is looming round the corner. I try another spoonful, but he locks his mouth shut until every teeny, tiny grain of food has dissolved. I know he could easily get another bite in, but this is his way of reminding me who’s boss, and it certainly isn’t me. I try singing again…but he scrunches up his face up, holds his hands in the air and squeals in protest. But he loved it five minutes ago? I just scream loudly to the little people inside my head. I get a new toy, he looks at me and throws it on the floor. I try really hard not to react. He looks at me again, willing me to go nuts so that he can cry, hope that I’ll get fed up and give up! And before you get all judgey, yes I’ve tried just letting him go hungry – it doesn’t work. Like I said, with the attention span of a baby fly and the memory of Dori from Finding Nemo, he just forgets by the next meal and it all starts again. So trust me when I say that I may as well grit my teeth, (so may sanity doesn’t escape), suffer the pain and just get him fed. For me, apart from VYP being so up and down with his health, other factors come into it. My husband is currently having to be away from home and has been for almost 3 months. This is really tough as I have no one to share the difficulties with. I also have to continue running the house and being the best mum that I can, so if that means shaving time off during meals is one thing I can control, well I’m going to bloody do it. I am also spending a lot of time at my in laws, so unfortunately since VYP has started to feel better, I haven’t had the time to put into banishing these bad habits. At the moment, life is such that time is always of the essence, therefore, meal times remain hell on earth. Anyway, where was I. Ah yes, so with his mouth locked shut, eyes squeezed tight and toys all over the floor, I have another trick up my sleeve, fruit yoghurt. Now these two words put a big smile on my face because they allow me to deceive VYP, and finally I’m the boss, if only for a few minutes. I dip his food in the yoghurt, and although I have to fight to touch it to his lips, once he has a little lick and realises it’s sweet, he opens his mouth wide enough to land an aeroplane. I think perhaps I should have named him Damien instead. The yoghurt trick usually takes me to the end of the meal, however, if it doesn’t, yes I do reach for the TV remote. Judging me for being TV mum aren’t you? Well just so you know, its been over half an hour, I’m quite tired, pretty fed up, and I’d just like to sit down for 5 minutes before I start cleaning the kitchen, packing the car and making sure we’re both ready to go. Sometimes I even put the TV on from the beginning…shock horror. Arrange play dates between meal times – this way you can actually sit and enjoy a cuppa with your mummy friends. Distraction works – be it toys, food dipped in yoghurt, and even TV if you have to. Obviously great not to be in the TV habit but if you are, there is probably a good reason so don’t beat yourself up. Don’t lose your cool – these little munchkins will learn very quickly how to get a reaction from you. If you have no where else to be after lunch, then do take their food away from them after this meal if they start fussing. Just put them down to play and let them get hungry. Unfortunately I am not home on enough consecutive days to put this into practice. Don’t be afraid to take your child away from the distraction of other people – they think they are helping by talking loudly to your baby and being silly, but take it from me, this only adds to the difficulty. Don’t feed your toddler too many snacks between meal times, it only makes it harder at the next meal because they aren’t as hungry. When people see VYP, they seem to just want to feed him finger food, even when I say that he has JUST eaten lunch, perhaps I should ask them to feed him every meal for a week and then I think they might refrain. Do try a variety of finger food at lunch time instead of a meal, I know VYP is quite independent and will happily munch on toast, chapati’s, and fruit over being fed. Whenever I have the leisure of time, I always do this because it means I can sit and eat too, and you always have the evening meal to feed them so you can see how much they’ve had. If they fuss at breakfast, cut out the morning milk feed and try bringing them straight down to eat – I have recently started doing this, and whilst there is still fuss, there’s certainly less of it. Try having meals together where possible, let your child see you eat and enjoy food and this will encourage them to do the same. Do whatever works for you and your lifestyle and don’t feel bad for it, even if it does go against every rule in the book. No one else is looking after your child everyday, you are. Every baby is so different in every single way, some babies are dream sleepers (mine is! mine is! mine is! ), some babies are dream eaters, and some babies are both (very jealous of mummies with the latter). Every mother’s circumstances are different, and meal times have a lot to do with lifestyle. When life changes for me and I have the time to spend with VYP getting rid of our bad habits, I absolutely will, but until then I just follow this mantra. 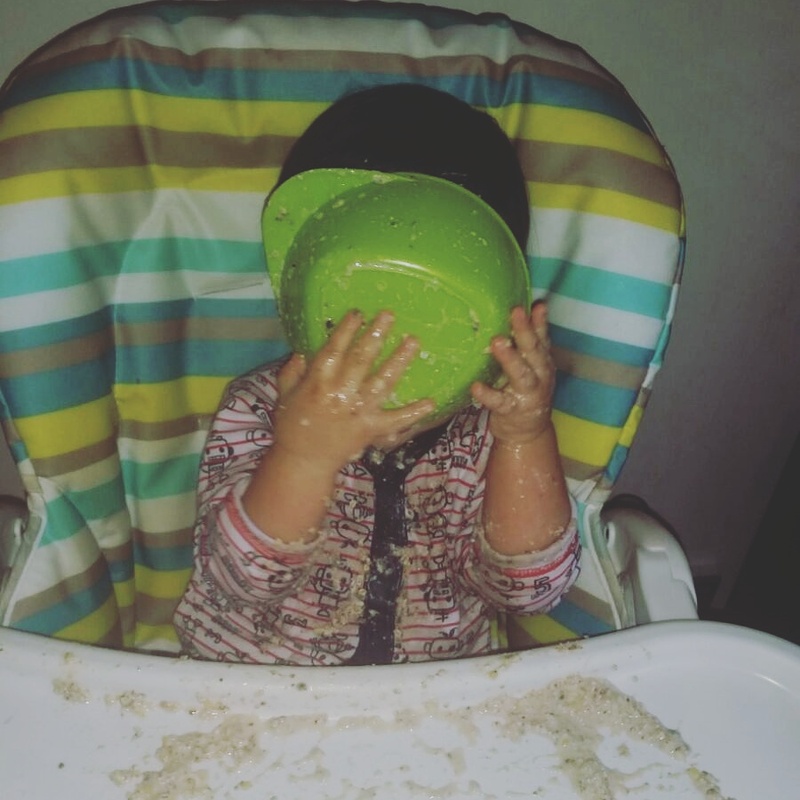 One day your fussy toddler will eat by themselves. One day you will be able to explain why they can’t eat and watch TV, and they will actually understand instead of crying. One day they will even ask you for food (I think I will cry tears of joy). With babies and toddlers, everything is a phase, it will pass. Until then, do whatever you have to do to manage, and just don’t make a meal out of it.